We have gained rich industry experience in the field of supplying a huge gamut of Stainless Steel Spoke Wire. Usage: spring, screw, rope, steel brush, etc. Being a leading enterprise of this industry, we are offering a huge range of Stainless Steel Spoke Wire. Our range of steel wires includes tyre bead wire, spring wire, ball bearing wire, spoke wire, PC wires, card clothing wire, fencing wire and MIG welding wire. One of the major lines of production which was commissioned in the year 1991 is Steel Wires for cycle and two-wheeler industry. 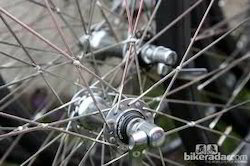 Bright Spoke wire, Moped Spoke wire etc.The manufacturing capacity of these wires is 4000 METRIC TONNES PER YEAR. 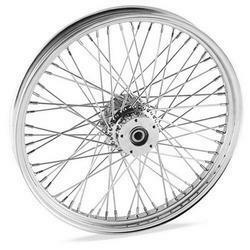 Used in: Two-wheeler automobiles and bicycles. - Wire rods manufactured at the Company's own mini Steel Plant maintain specified quality and chemistry. - Stringent Quality checks are carried out at every stage of production. - 100% testing of the finished product is assured.